Apple today added banners to the App Store and iTunes Store on Mac and iOS devices allowing Apple customers to donate to the American Red Cross to support those who have been affected by the fires that have devastated Northern California. Impacting Shasta County and the town of Redding, the Carr Fire has become the sixth most destructive fire in California’s history, ripping through more than 125,000 acres and destroying or damaging over 1,500 homes and buildings. Other smaller fires, such as the Ferguson Fire near Yosemite National Park, are also raging in California due to the hot, dry weather. The Carr Fire started on July 23 after a car caught fire on California State Route 299. Six people have been killed, including two firefighters. The fire is 39 percent contained at this point, but high winds expected this weekend could hamper efforts to put it out. Apple is allowing its customers to donate using credit and debit cards that are already on file with the iTunes and App Stores, for a simple, no-hassle donation process. iTunes and App Store users can donate $5, $10, $25, $50, $100, or $200, 100 percent of which goes to the American Red Cross. Apple often uses the iTunes Store and App Stores to raise money for charity during major disasters. Apple collected donations on behalf of the American Red Cross during the 2015 Nepal earthquake, the 2013 Philippines typhoon, Hurricane Sandy in 2012, the 2011 Japan earthquake and tsunami, and the 2010 earthquake in Haiti. This is the second year that Northern California has been hit with major fires, and last year, Apple donated $1 million towards relief efforts following the fires that devastated Napa, Sonoma, and Santa Rosa, California. Apple also donated another $1 million towards Southern California fire relief efforts back in December. Fire season in California typically lasts through the late summer and well into October, with scorching temperatures, dry weather, and high winds reacting with dry brush caused by drought. This July, areas in Northern California have seen unusually high temperatures leading to an early start to fire season. It’s been nearly one year since Disney announced that it will pull all of its movies from Netflix and launch its own streaming service in late 2019, including both TV shows and movies from Marvel and Star Wars. This week, however, Bloomberg reports that the company is facing troubles with the TV rights to the Star Wars film franchise, dating back to a deal it made with Turner Broadcasting in 2016. Under that agreement, Turner gained the linear basic cable and companion ad-supported on-demand rights to five of the six Star Wars films released between 1977 and 2005 (The Empire Strikes Back to Revenge of the Sith), as well as the new films that began releasing in 2015 (as of now including The Force Awakens, Rogue One: A Star Wars Story, The Last Jedi, and Solo: A Star Wars Story). With these rights, which also includes A New Hope rights inked in a deal with 20th Century Fox, Turner has been airing the Star Wars movies on networks like TNT and TBS, and its deal with Disney grants it the ability to keep doing so until 2024. Now that Disney is planning its own dedicated streaming service, however, the company wants these rights back so it can be the sole location for users to find and stream the entire Star Wars canon. To do so, Disney has made a “preliminary inquiry” about regaining the rights, but has “met resistance” from Turner, according to people familiar with the matter. Turner would reportedly want financial considerations and programming to replace the Star Wars films it would lose, but the talks have yet to advance. If Disney doesn’t get the rights back, its streaming service would be missing one of the main franchises that many users would be signing up for, although new Star Wars content could appear, such as numerous Star Wars TV shows “specifically” created for the service. Similar to Disney, Apple is on the hunt to fill its own upcoming streaming TV service with an instant catalog of existing shows and potentially even movies. Apple hasn’t discussed its streaming service as much as Disney, however, so it’s still unclear how it will launch, how much it will be (Disney says its own will be priced “substantially below” Netflix), and when exactly users will be able to watch the first TV shows beyond sometime after March 2019. At the same time that Disney attempts to negotiate the TV rights to the Star Wars films back into its fold, the company is nearing completion on its $71.3 billion acquisition of 21st Century Fox’s entertainment assets, which will provide another influx of content for its streaming service. Apple’s upcoming 2018 iPad Pro models may feature a display with rounded corners like the iPhone X according to an image asset for the new devices found by 9to5Mac’s Guilherme Rambo in the most recent beta update. The asset in question, which appears to be for new iPad Pro models, is used as a mask to create rounded corners of UI elements and it features the same rounded corners that we’ve seen in the iPhone X. The J3xx name suggests a 2018 iPad model and it’s a reference that’s been found in other parts of the iOS 12 code in relation to new iPad Pro models. There’s no word on when Apple plans to introduce its updated iPad Pro models, but the new tablets could perhaps come in September alongside new iPhones. Apple could also choose to introduce them at a separate iPad and Mac-focused event as it has done in past years. Because sometimes one router just isn’t enough. 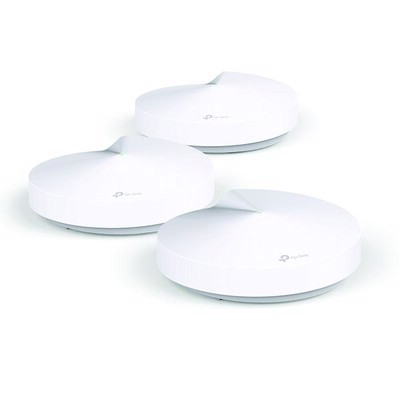 The TP-Link 3-pack Deco M5 mesh networking system is down to $166.13 at Amazon today. 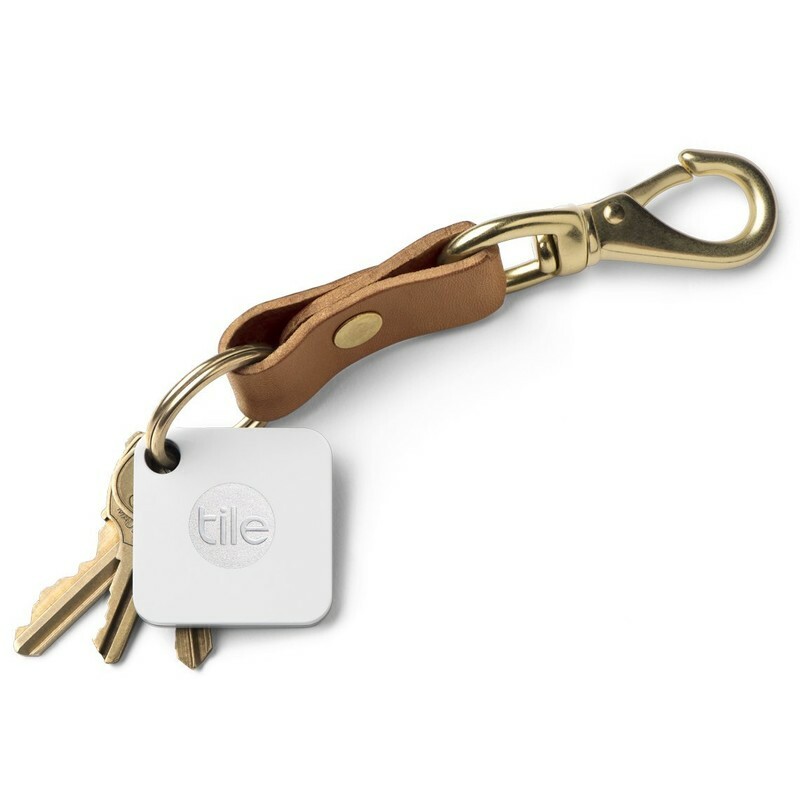 It mostly sells between $220 and $230 when not on sale. This is one of the lowest prices we’ve ever seen and better than any recent deals we’ve shared. A single Deco M5 device is $95 on its own, so you’re actually getting three for less than the price of two with this deal. The Deco M5 replaces your Wi-Fi router and any other devices you’ve been using to make up for dead zones like range extenders. 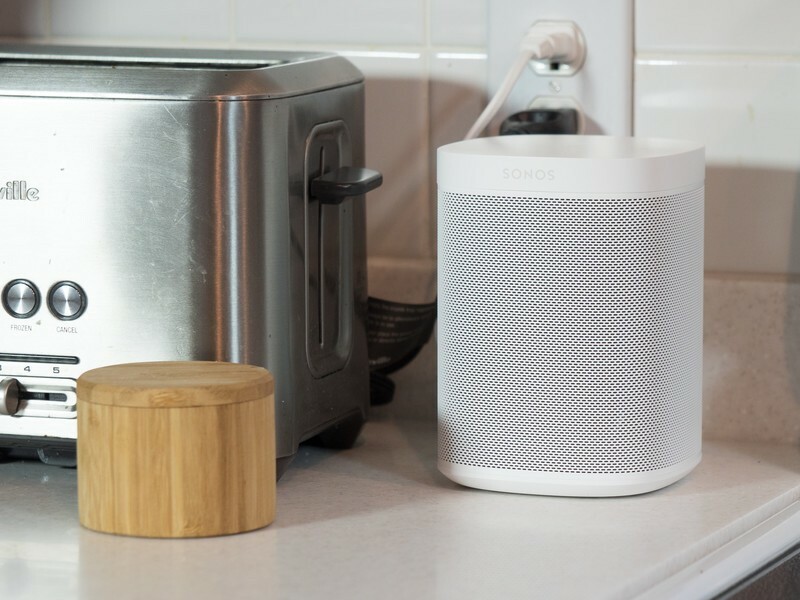 It can cover up to 4,500 square feet of your home in strong, stable wireless signal. TP-Link HomeCare gives the system security. Adaptive routing technology lets it choose the fastest path to keep your network running smooth. With the TP-Link Deco app, all you have to do is follow the on-screen instructions to get the system up and running as soon as possible. TP-Link covers the Deco M5 with a two-year warranty. 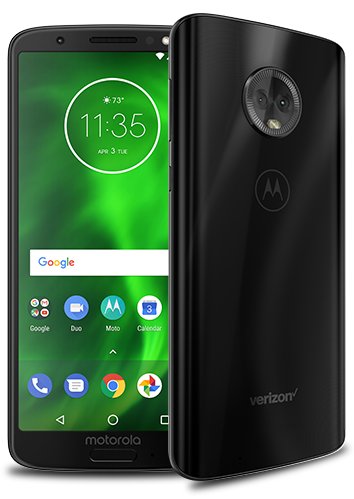 Back to school means buying a lot of stuff at once, and if that includes a great new phone, leave some room in your budget for other things with the incredible-value Moto G6. This phone does everything well but costs under $250. Seriously, you won’t find better value for money when it comes to a smartphone anywhere else. 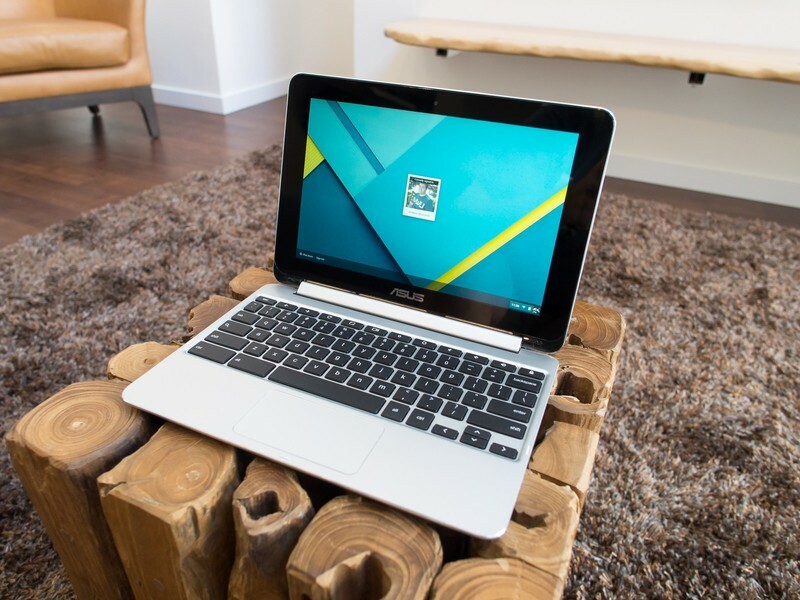 Schools are increasingly going Google, and that’s why we’re recommending a Chromebook. While you can always go for something a bit cheaper, our Chromebook recommendation is as powerful and capable as any Windows or Mac laptop and costs just $449. For that, you get a convertible aluminum chassis with an Intel M3 processor, 4GB of RAM, and 64GB of storage. 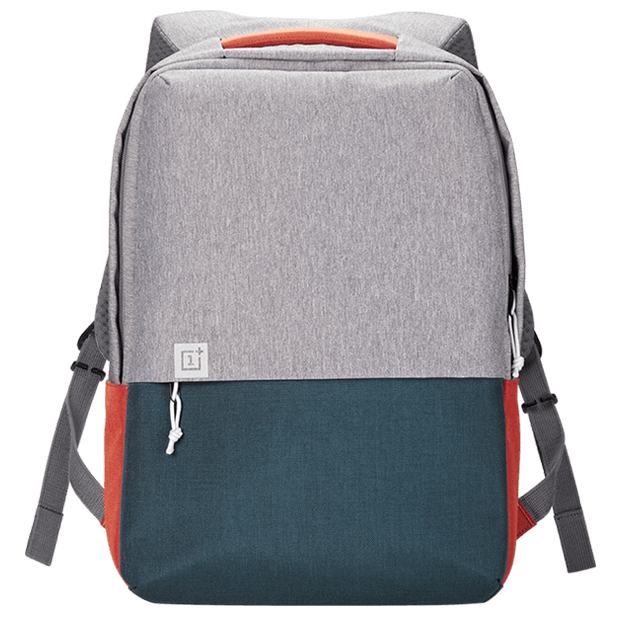 Did you know that OnePlus makes backpacks? And that they’re really, really good? We didn’t either until we tried this travel pack and, MY GOODNESS it’s awesome. At $69, this tri-tone bag is big enough to fit a laptop (there’s a padded side pocket) and plenty of extra stuff, including books, cables and maybe a Nintendo Switch, with plenty of room left over. 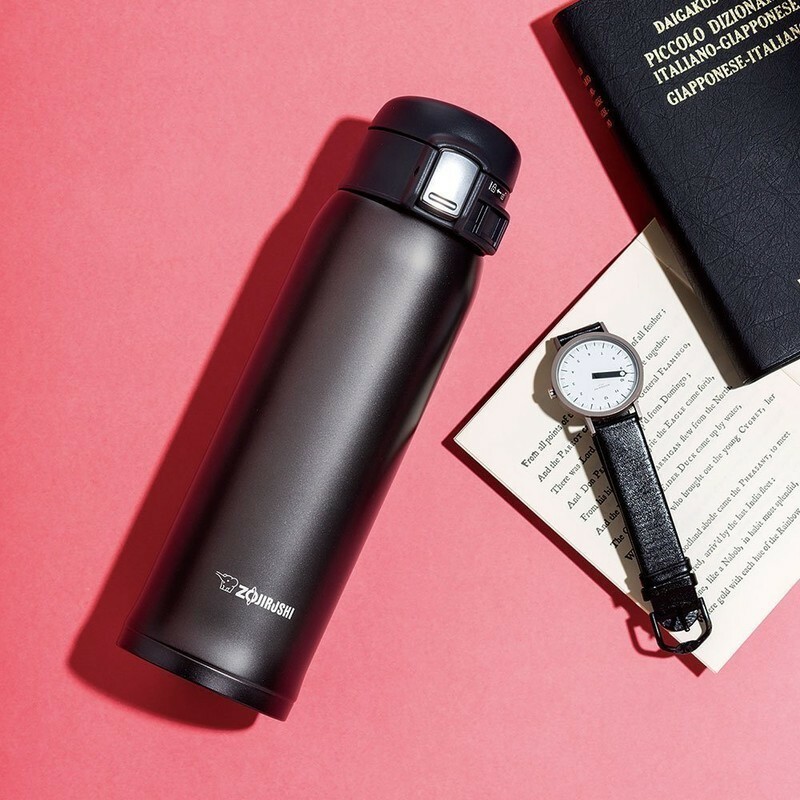 Because it’s made of nylon and polyester, it’s water-resistant, scuff resistant, and — well, it’s just resistant, OK? 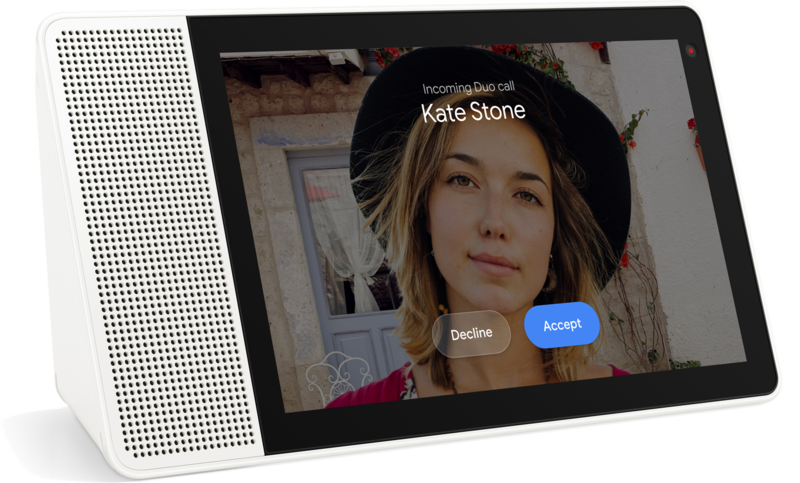 If the Google Home isn’t enough smart for you, Lenovo’s new $249 Smart Display does everything that speaker does and more. 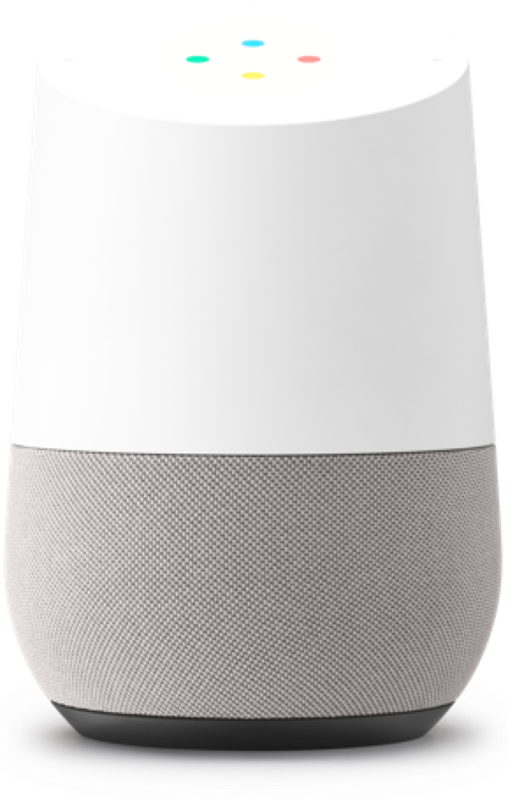 Its 10-inch screen is bright and touch-friendly, so you can see what you’re asking Google Assistant to do while watching YouTube and HBO, or listening to Spotify and Deezer. A classic re-imagined. 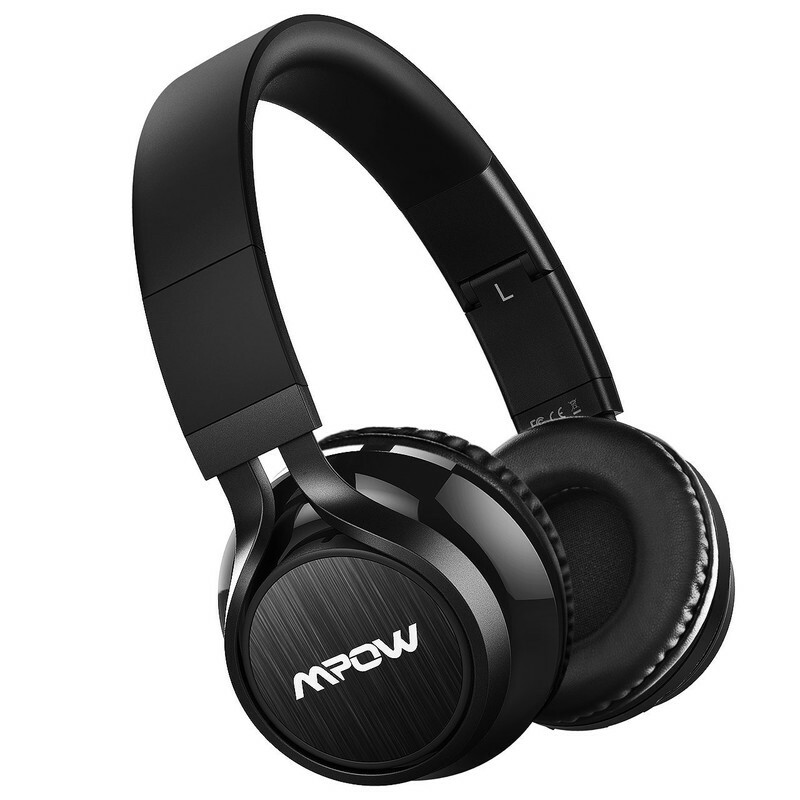 If you like the good things in life, get these awesome-sounding retro-looking Koss Porta Pro Wireless headphones. 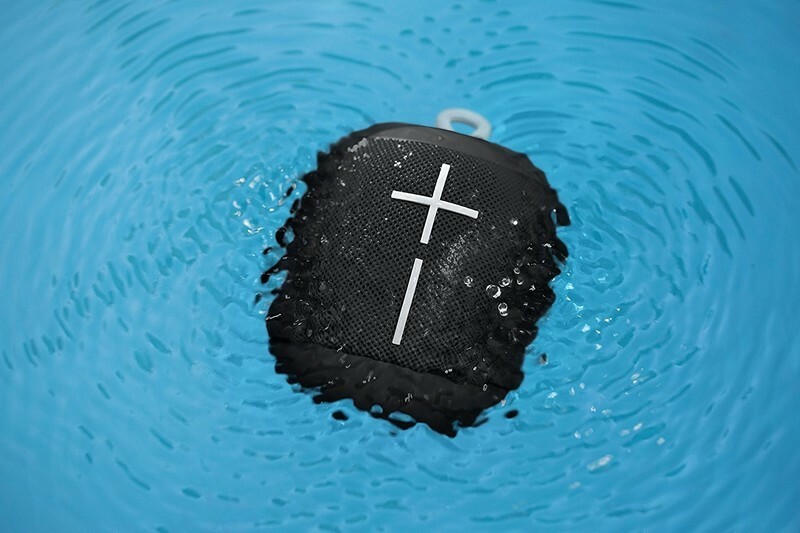 They bend into a tiny portable pod, but they have 12-hour battery and in-line controls for $80. 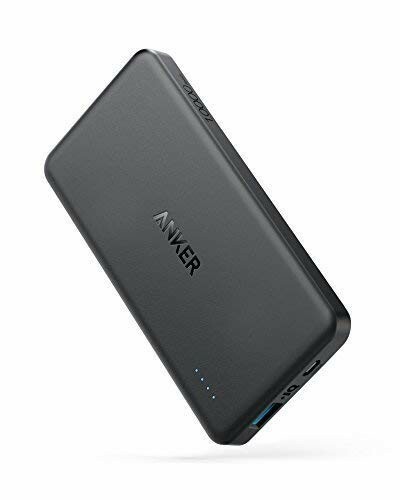 For something a bit more capacious, the Anker PowerCore+ 21000 is a huge portable battery with a USB-C port and two USB-A ports, making it versatile enough for any situation. 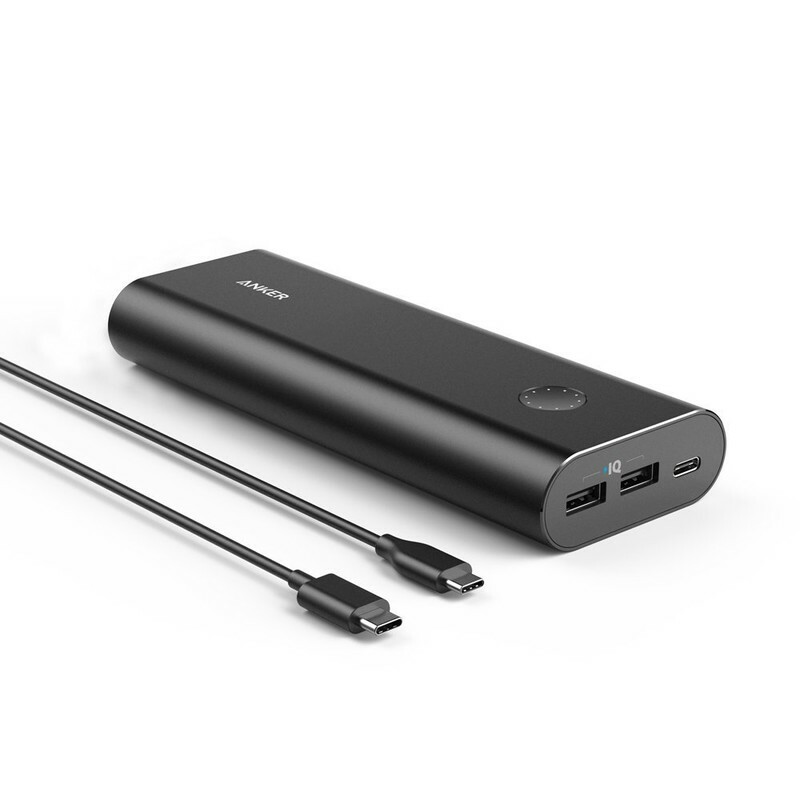 At $65, it’s on the less expensive side, but it’s a great value, especially when paired with the Moto G6, Nintendo Switch, and a Chromebook! 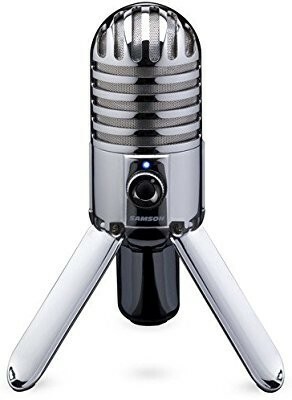 Whether you’re starting a podcast or just want better quality audio for your Skype calls with your professor, it never hurts to have a decent microphone sitting around. For just $65, the Samson Meteor sounds just as good as it looks, with a USB port for wide compatibility and a built-in kickstand. 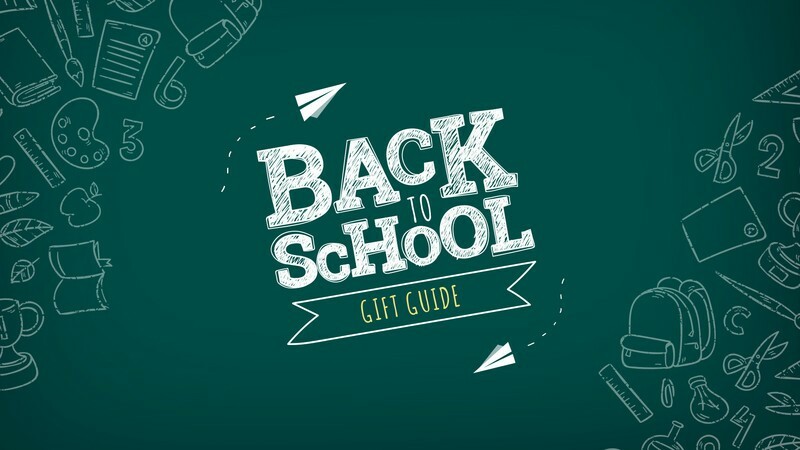 Best of all, it folds neatly into a portable package that you can easily toss into your bag on the way to class. 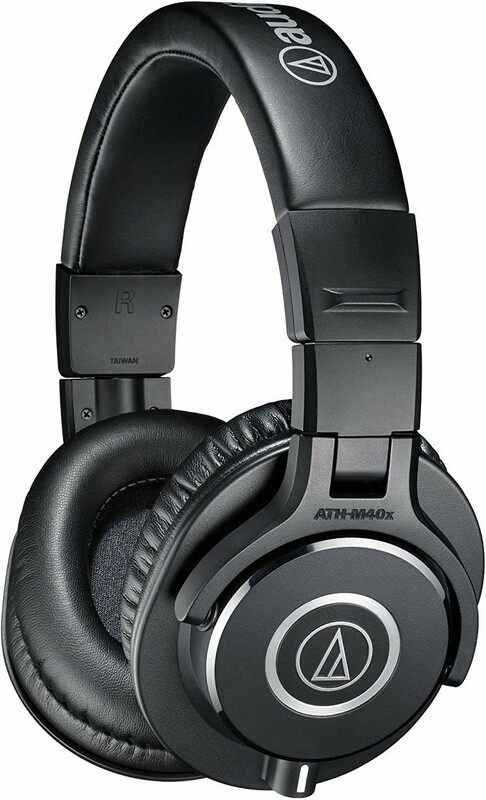 Everybody needs a good pair of headphones, and the Audio-Technica ATH-M40s are just that. 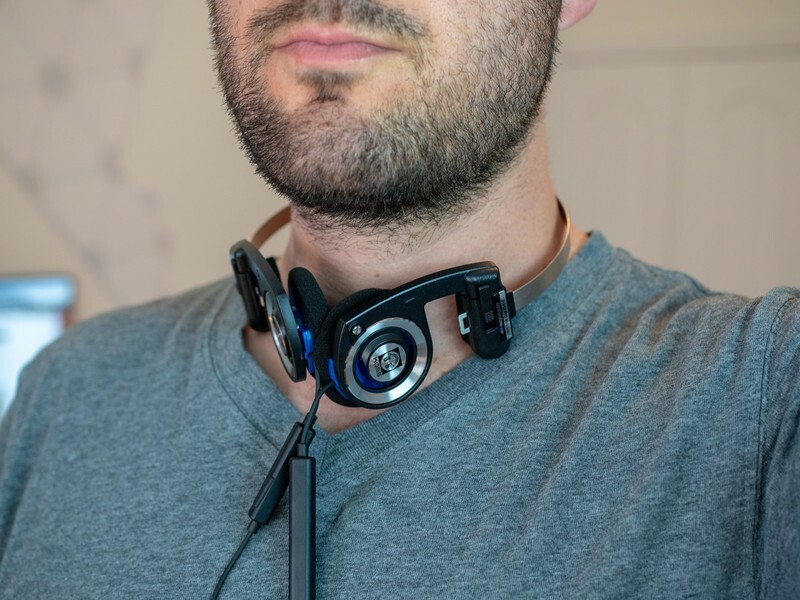 At $79, there are definitely cheaper headphones out there, but the ATH-M40s offer clear audio, a collapsible design for easy traveling, and a removable cable in case anything goes wrong. 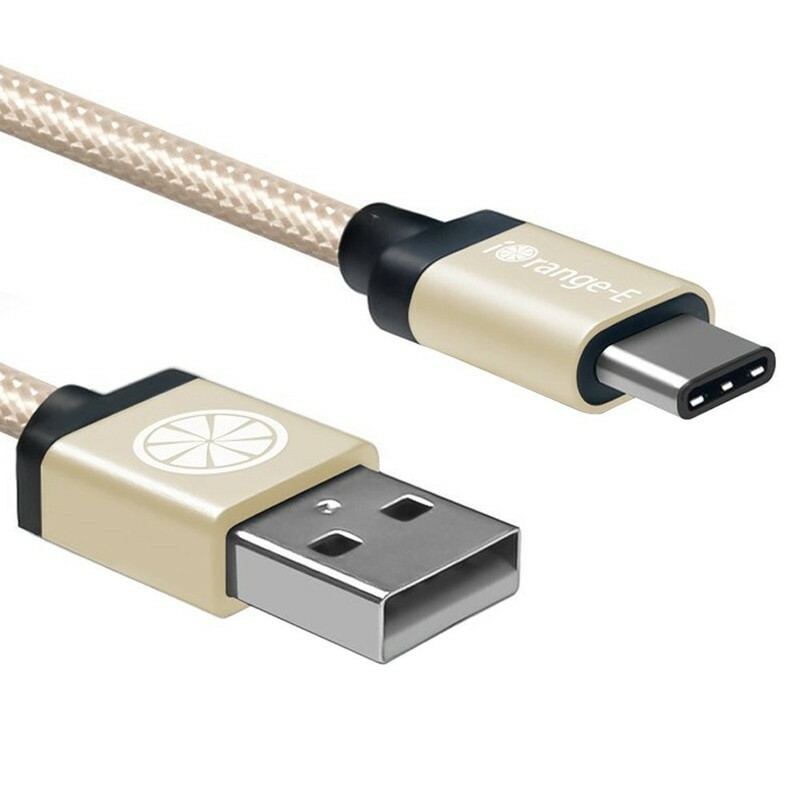 In fact, Audio-Technica includes two cables in the box — one straight and one coiled — and both can lock into the headphones for an ultra-secure connection. This led to iOS Mogi’s main concept: Siri as a drop-down notification banner that Eugène describes as “parallel help.” The non-intrusive banner doesn’t take up the whole screen as Siri does today, allowing the assistant to perform contextually aware tasks in the background while the user does something else. As with all concepts, it’s important to remember that Eugène’s designs in no way indicate what we’ll see with Siri in a future version of iOS. In Eugène’s main example, he asks Siri to “Show me pictures of Japan” while texting a friend in Messages, and then he swipes down on the notification, scrolls until he finds the ones he wants to send and taps to select them all. Thanks to the contextual awareness of Siri in iOS Mogi, this drop-down notification also has a blue Messages “send” button, which Eugène taps to send all the photos directly to his contact. 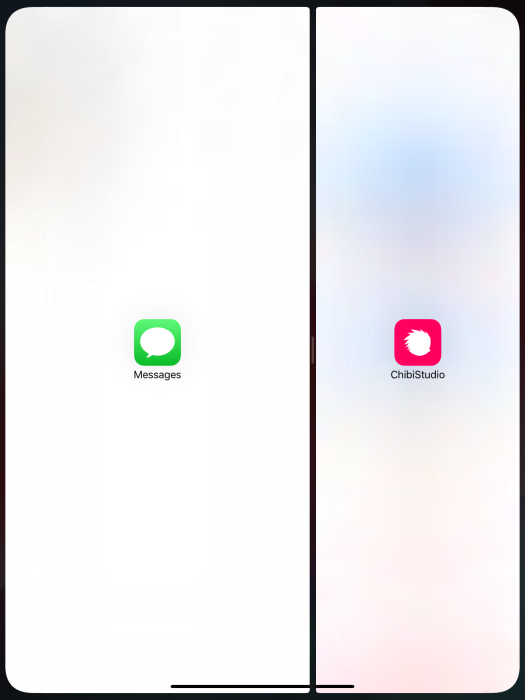 iOS Mogi also includes a multitasking feature where it’s possible to ask Siri to open pages from an app while performing tasks in another app. Eugène gives the example of writing an email and asking Siri to open a conversation from Messages in a drop-down notification, scrolling to find a picture you need, and then dragging and dropping that image directly into the email. Eugène’s version of Siri also allows for “Siri actions” that translate touch gestures into voice commands, like scrolling in Apple Music or editing an email’s content in Mail. Without needing to physically interact with an iPhone, Eugène explains that this could be particularly useful for users with a disability, but believes such actions would be of benefit for all iOS users. The last of Eugène’s Siri concepts in iOS Mogi involves saving elements from anywhere in the OS to use in another app, including an improved copy/paste feature. 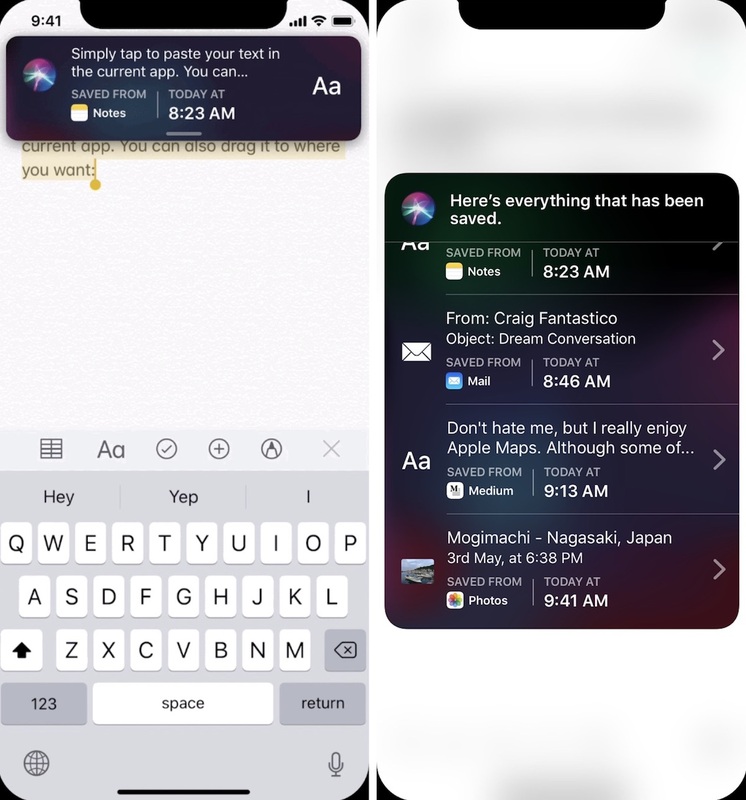 In the concept, users can copy as normal and then Siri saves all items and text copied, which can be viewed by saying “Show me all my saved elements.” From here, each element can be edited, copied again to paste in another app, or dragged and dropped into the open app. The iOS Mogi concept is full of other ideas for Apple’s mobile operating system, including updates to Apple Maps, “live notifications,” multitasking, ARKit features, and more. Head over to Eugène’s Medium post to see the full concept. Prior to the unveiling of iOS 12 at WWDC in June, we saw a few concepts for future versions of iOS from other graphic designers, including one from Michael Calcada that focused on a “Siri Sight” augmented reality feature for navigating around cities. Another one shared by Álvaro Pabesio focused entirely on Apple Music — which isn’t a priority for Apple’s iOS 12 update — and beefed up the music streaming app with music history stats, a new UI, new profile pages, group playlists, and more. Fortnite, the ultra popular multiplayer battle royale game that’s available for iOS devices, consoles, and PCs, is expanding to Android today, but Epic Games is launching Fortnite for Android in a unique way that’s worth paying attention to. As outlined by our sister site TouchArcade, rather than releasing the game on Google Play or another Android marketplace, Epic has created its own Fortnite installer that skirts all fees and eschews the Google Play monopoly on apps, letting Android users install the app outside of Google Play. Google, like Apple, collects a 30 percent fee for apps (and in-app purchases) released through the Google Play platform, and despite the fees, most developers use Google Play anyway because it’s simple, streamlined, and easier in terms of app discovery. But, in contrast to the iOS platform, it is possible for apps to be installed on Android devices without Google Play (or the Amazon Marketplace) and that’s what Fortnite has done here. Fortnite is so popular that Epic doesn’t need Google Play to get people to download the game, and thus Google won’t be getting a cut of in-app purchases from a mobile game that’s already brought more than $100 million in revenue on iOS devices. Fortnite on Android is being distributed exclusively through Epic’s Fortnite Installer, which TouchArcade says is basically a third-party App Store that lets you install one app – Fortnite. TouchArcade spoke with Epic Games founder Tim Sweeney, and he said that the company was motivated by “economic efficiency.” The 30 percent fee charged by open platforms, he says, is “disproportionate” to the services provided. Sweeney says that right now, Epic Games is focused on Fortnite and there are no current plans for a full Epic App Store that permanently shuts out Google Play, but he didn’t rule it out. Unfortunately for Epic, Apple’s mobile platform is more restrictive than Android and there is no way to make a similar move on iOS devices. The only options for skirting the App Store are jailbreaking or distributing outside of the App Store via Xcode, two practices that Apple heavily frowns upon. F.lux, for example, tried using side-loading to release an iOS app back in 2015, and Apple shut it down quickly. While Epic Games won’t be paying fees on Android, Apple will continue getting its 30 percent cut of all Fortnite in-app purchases, at least for now. TouchArcade editor-in-chief Eli Hodapp suggests that this launch has the potential to put pressure on both Google Play and the App Store if Epic Games releases an alternative Android platform that offers more affordable rates. Epic’s Unreal Engine Marketplace, for example, offers an 88/12 split, a much better deal than the 30/70 split Apple and Google provide developers. For more details on how Fortnite for Android will work, make sure to check out TouchArcade’s walkthrough following a hands-on demo with the app install process. However, it recently came to my attention that many of my emails sent from my @me.com address via Gmail have automatically ended up in the spam boxes of my recipients—even those I’ve emailed regularly. This went on for a few weeks, with zero indication on my end, beyond a puzzling lack of replies. Eventually, one of my recipients alerted me that my email went to spam, and I turned to Google to do some research. As it turns out, there is an industry-wide email authentication, policy, and reporting protocol named DMARC, and it appears Apple upped its DMARC policy to “quarantine” in July. If you monitor these things, you might have noticed that Apple’s consumer email domains (iCloud domains) — mac.com, me.com and icloud.com — have moved to a “p=quarantine” DMARC policy. This means that if you have an email address in these domains, your ability to send outbound mail using an email service provider or other, non-Apple email platform to send mail, deliverability won’t look so good. Mail may not be blocked outright (Apple didn’t move to “p=reject”) but moving to “p=quarantine” means it’s much more likely that your mail could end up in the spam folder. DMARC records on wiseTools confirm that @mac.com, @me.com, and @icloud.com now adhere to a “p=quarantine” policy. DMARC is designed to combat one of the most common types of phishing attacks, in which the “from” address in an email is faked, so Apple moving to a “quarantine” policy is a good move in terms of security, even if it is an inconvenience for people who use an Apple email via third-party clients. After learning this, I reached out to Apple for clarification, and while it didn’t confirm the new DMARC policy, it did offer a potential solution for Gmail. 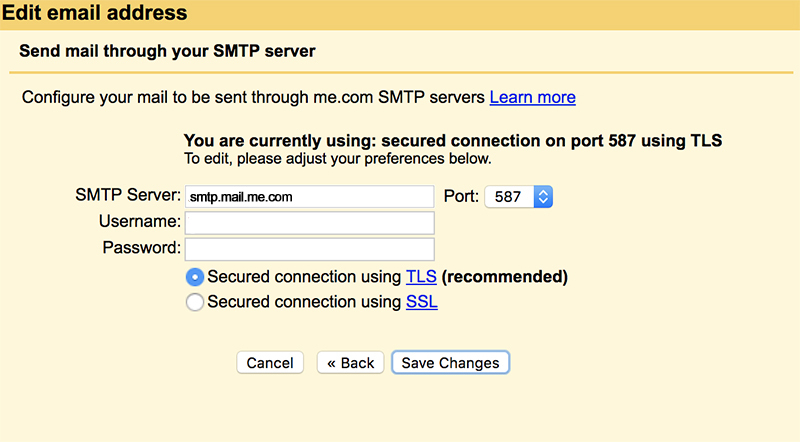 At this point, I’m not entirely sure what has fixed the issue for me, but hopefully tinkering with the SMTP server settings works for others. If not, and you have an important email to send via your @mac.com, @me.com, or @icloud.com address, make sure to send it from Apple’s own Mail app or iCloud.com. Another day, another malware attack. Regardless of how much money is poured into increasing cybersecurity, the situation doesn’t seem to improve. Could machine learning that adapts to new methods be the solution? For some companies, such machine learning techniques go hand in hand with more traditional signature based detection and others employ behavioral learning to watch out for other, unspecified threats. For threat prevention company Cylance, however, machine learning is all it needs to offer what it claims is the most effective anti-malware solution available today. Like Google’s Sundar Pinchai championed last year, Cylance is putting AI-first in its new consumer-facing antimalware solution. But more than that, it’s putting AI-only in its flagship security software, which it claims is more than enough to stifle the malware threats of yesterday, today, and tomorrow. Today though, he explained, things are quite different. Citing that there are more than 350,000 new pieces of malware released every single day, such signature-based anti-malware solutions just don’t cut it, he said. The types of threats facing consumers, businesses, and the security companies who protect them all are different too. While spam and adware are still prevalent, new threats like ransomware and cryptojacking have become commonplace. With these new and ever growing attacks, Cylance believes that machine learning and AI-driven smart software is the only real way to combat it. This, Bray claims, is all you really need. But is that really true? Relying solely on machine learning is not an approach other anti-malware companies are taking, even ones that incorporate AI into the process. While Bray might have a glowing opinion of Cylance’s own machine learning, other companies do use it too. Kaspersky, Malwarebytes, McAfee, and many others, all utilize machine learning to help detect malicious software, they just tend to do it alongside more traditional techniques. So what’s so different about Cylance’s solution? It would be unfair to categorize such a statement as anything other than opinion – one that we’re sure other antivirus companies would contest. Indeed we’ve seen anti-ransomware protections from the likes of Malwarebytes and Zone Alarm offer similar analaytical software that looks at processes as they begin to run and if they detect malicious behavior in their application, halts them in their tracks and in some cases rolls back any changes that they made. Furthermore, according to Malwarebytes, there are some serious problems with relying solely on machine learning for threat detection. Clearly, Bustamante doesn’t think machine learning is the end-all, be-all from a malware detection point of view. He even stated that he couldn’t foresee a time when machine learning would be all that was needed for anti-malware software. Cylance doesn’t have a dedicated scan function; it focuses entirely on live protection. Still, Bray was adamant that Cylance’s solution is quite different. Nailing him down on the specifics of what makes it so wasn’t easy, but he explained the AI further by stating that it’s been trained on millions of attributes that could suggest “good and bad behavior,” as he put it. 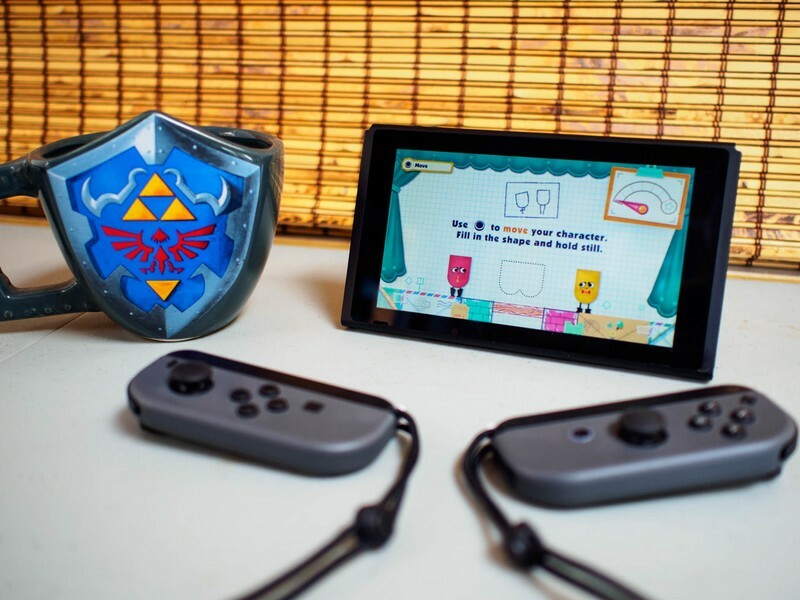 “[The algorithm] essentially analyzes any piece of software that runs on that device and before that software can run it uses the power of it’s learning of his training to look at that and say, ‘Okay, this is good. I’ll let it run or no, this is bad,’” he said. One area where Cylance’s antiviral solution is distinctly different than most, is that it doesn’t offer any sort of remediation scanning function with its software. Scans have been at the heart of most antivirus software for decades, but to Cylance, that’s more akin to closing the door after the horse has bolted. Instead, it focuses entirely on live protection, making sure threats are detected before they even start having an impact on a system. The upside of this, Bray tells us, is that its software has a very small footprint on the system it’s installed on and requires far less resources to run. By avoiding that, Bray claims, Cylance Smart Antvirius is far less taxing on a system. In some very rudimentary testing of this claim, we found it to be a bit of a mixed bag. When no new applications were opened, we found the client to be very lightweight, consuming no more than a few megabytes of RAM and almost zero percent of our (Intel Core i5-4690k) CPU. However, upon opening new applications, we did see significant spikes in CPU usage, in one case (when opening Adobe Acrobat DC) it required as much as 50 percent of the test system’s CPU for a few seconds. In comparison, Malwarebytes Antimalware, which was also running on that same system, required close to 150MB of RAM while idling, but typically only required a few percent of the CPU’s cycles when opening new applications. However, Malwarebytes did continue to show such numbers upon repeat opening of the same applications, while Cylance’s solution appeared to learn that such apps were not malicious and required far less resources on repeat launches. These tests are far from conclusive, but do appear to highlight the difference between anti-malware solutions when it comes to resources required for tracking potentially dangerous processes running on a system. Regardless of everything else Cylance’s Smart Antivirus does, the one feature Bray was most proud of was its ability to detect “unknown” threats. That is, malware that has yet to be written or even effectively categorized. By relying heavily on analysis of process behavior, he claims that Cylance’s security software is capable of handling threats that no one has ever seen before. New types of ransomware attacks is one area where he feels that the software is particularly good at combating. Citing the WannaCry ransomware attack from mid-2017, Bray claimed that Cylance fed the malicious software to a copy of its algorithm from two years prior, and that it was able to detect the ransomware and stop it in its tracks, despite predating its creation by some time. That same applies to new ransomware attacks, he said, which are stopped before they even start and the end user is none the wiser. Operating seamlessly out of the line of sight of consumers was something that he and Cylance truly believe in, removing the emphasis of knowledge and oversight from the consumer. Even if Cylance’s AI-driven Smart Antivirus isn’t quite perhaps as revolutionary as its marketing might suggest, it is certainly a leaner and more focused approach to cybersecurity. If it can predict and stop the next WannaCry, we’ll happily let AI take the wheel. The second quarter of 2018 has seen overall tablet sales decline by 13.5 percent when compared the same period in 2017, according to a sales report from the International Data Corporation (IDC). That fall represents a drop from 38.2 million units to 33 million — a drop of just over 5 million units. 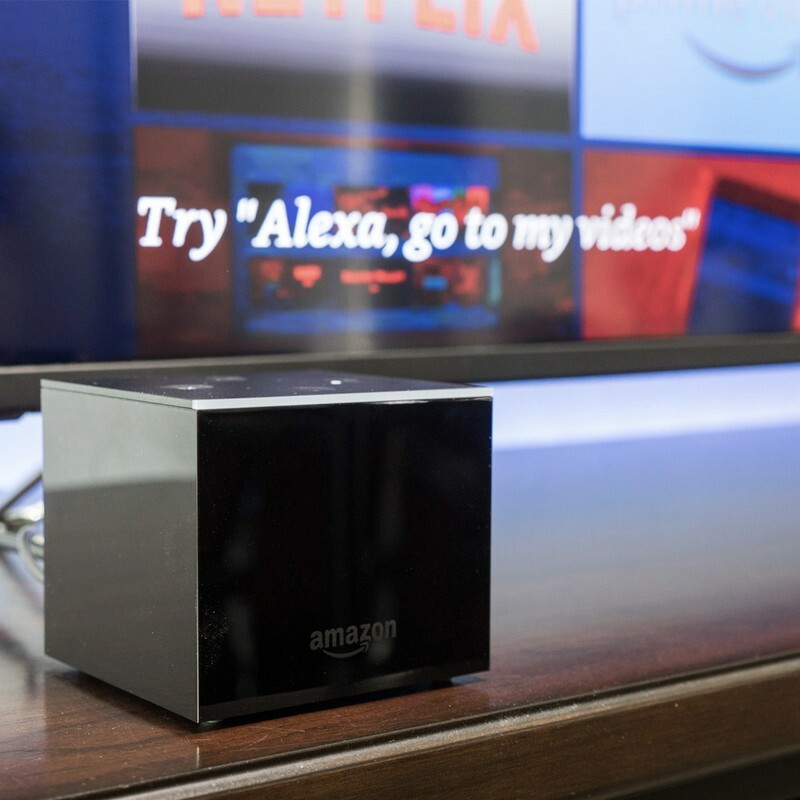 Fire Tablet magnate Amazon was hit the worst by the decline, suffering a 33.5 percent drop in sales compared to 2017 — and losing its fourth-place position to Lenovo as a result. 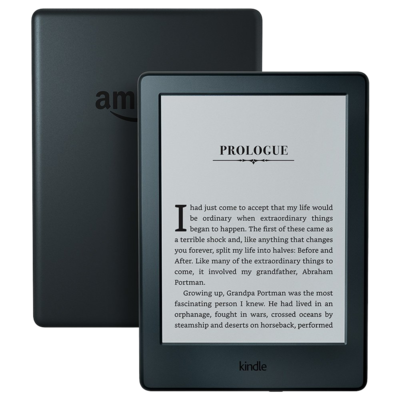 However, Amazon’s comparatively lower sales mean that its drop of 800,000 thousand units is small fry compared to other manufacturers. Samsung dropped a cool million units, falling from 6 million units to 5 million, though still retaining its second place position in the market. The IDC blames an ageing lineup as the major reason for the decline, though it forecasts that the recent reveal of the Galaxy Tab S4 should boost Samsung’s sales in the coming months. It’s not all bad news. Likely spurred on by the launch of a new, more affordable iPad at the end of the first quarter, Apple’s sales have risen — though only by 0.9 percent. Still, that means that Apple is sitting pretty with 11.5 million sold in the second quarter — over twice what second-place Samsung achieved, and enough to grant it over a third of the market’s sales with a market share of 34.9 percent. Huawei saw gains, too, rising from 3.1 million units to 3.4 million units — a rise of 7.7 percent, with nearly half of these sales continuing to be found in the Asia/Pacific area (excluding Japan). Sales of Huawei’s convertibles, though a limited range, also showed promise, achieving a rise of 200 percent. Samsung’s sales should be boosted by the reveal of the Galaxy Tab S4, but the South Korean company still risks losing its second-place position to Huawei should recent trends continue. Huawei recently surpassed Apple to become the world’s second largest smartphone manufacturer, and the Chinese company would probably welcome another trophy on its mantleplace. 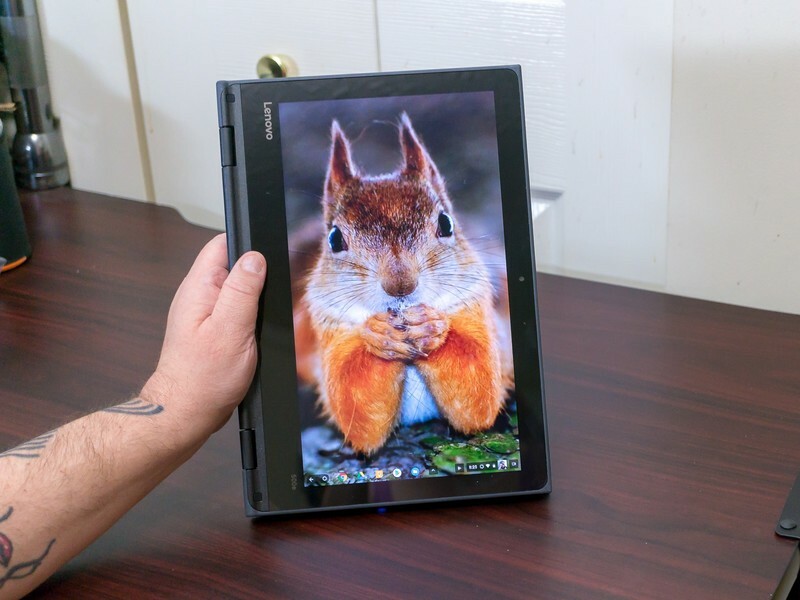 The sales being tracked include traditional “slate” tablets, as well as convertible tablets that connect to a keyboard — but do not include the growing market of convertible notebooks, which are permanently attached to a keyboard and can rotate fully around to form a bulky tablet.